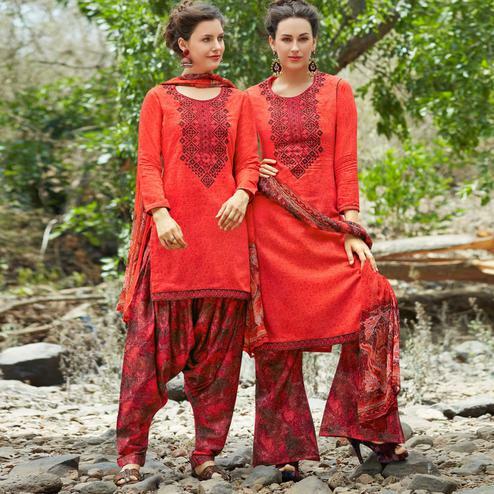 Reveal your ethnic look wearing this red designer suit. This emistitched dress fabricated on georgette has been graced with creatively designed zari embroidery & sequence work making the overall look more elegant and rich. Accompanied with matching color santoon bottom, santoon lining and beige color embroidered chiffon dupatta. Specially designed to wear for special occasions like wedding functions and engagement ceremonies.